1. Enjoy your pregnancy and embrace it, because when it’s over you’ll miss it! I moaned pretty much everyday about how I hated being pregnant and how uncomfortable I was. 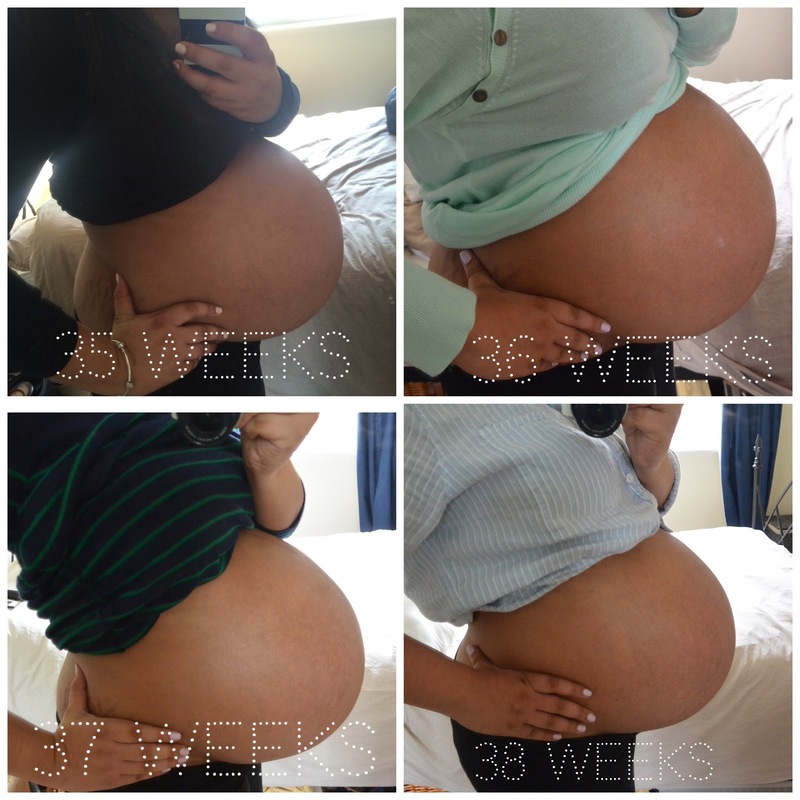 My pregnancy flew by and I really do wish I’d sat back and enjoyed those 9 months of growing my very large baby! I miss his kicks and movements, my ever growing bump and how special I felt. 2. Sleep! Even though sleeping when preggers is so difficult, make sure you nap and try and get as much sleep and rest as possible. I was so obsessed with preparing everything for Max’s arrival I rarely napped or slept well. I used to hate it when people said ‘sleep while you can because once the baby’s here you won’t be sleeping at all’ I used to think what’s the point in sleeping know when the baby’s here I’ll still be tired. Oh how wrong I was, I would murder a lie in or 12 hours of sleep now. 3. Chill out on the spending Romeca! I spent a fortune on baby stuff, could you imagine if I’d known the gender of my baby?! Luckily I didn’t. My regrettable purchases has to be all the unisex clothes I bought. As soon as Max was here I hated him in white, I wanted blue everything! Also newborn clothing was such a waste as Max was almost an 11lb baby. If I become pregnant again, I’m definitely going to wait and meet my little one first before going crazy on clothes etc. 5. Do more research on breastfeeding. Whilst I was pregnant I thought breastfeeding would come naturally and would be the easiest thing ever. Your milk comes in your baby latches on, simple right?! Oh how wrong I was! I took a breastfeeding class when pregnant but I honestly didn’t take it seriously. I couldn’t understand how difficult it was and because of that I sat there paying more attention to the tea and biscuits on offer. I would’ve loved to breastfeed Max but when the time came I was exhausted Max was hungry and I just couldn’t do it. I am happy I gave it ago though and Max had breast milk for the first 3 weeks of his life. Here’s a bonus one for you! What would you tell you’re pregnant self?